WOW! 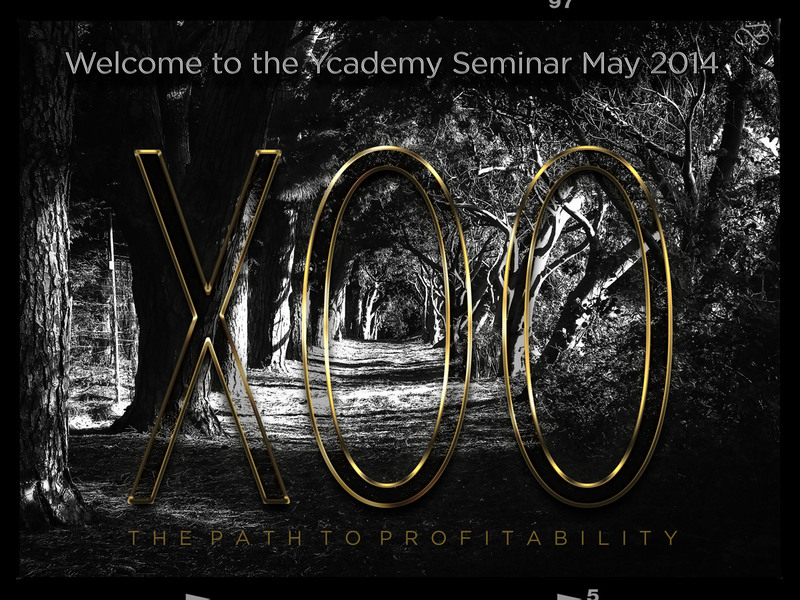 The elegant new WordPress based XOO Theme by Semiomantics was presented at this month’s workshop, the Ycademy Seminar May 2014! One fact is… that on today’s crowded Internet, everybody wants to stand out and ‘get noticed in a noisy world’! Another fact is that nothing has changed since Web Design with Passion started in terms of website design about 8 years ago: what really counts is traffic – people visiting your website, finding what they like quickly and easily, and then having a fast and safe way to download or buy what they want! What has changed, though, and dramatically so, is the way we display our products and/or services – not only in the form of text but via all kinds of media! And what we like in a traditional good magazine we can find increasingly online: good content beautifully displayed – including audio and video – and, of course, in many different formats. A real nightmare seen from ‘inside’ – but customer is king and customer gets what he wants – period! So once a visitor comes to a website he wants to be positively surprised, tantatilzed, hooked! He wants the experience, the emotion – the feel and the touch! That’s what’s expected – like in a good movie: the first minutes are crucial! Looking back, in my view the theme that came closest to what I understand by that was our good old “Evo Theme”, the first one. But that was flash-based – and since apples and the mobile web took over the net, flash was out. The drama! Now, during last weekend’s Ycademy Seminar May 2014, we took it still a notch higher with the new XOO – a smashing design on the WordPress backbone reminiscent of my favourite, the EVO! So from flash we move over to html5, CSS3, JS, Paralax and, and … and …! Of course we will take into account the mobile display as well as media, such as video, audio, galleries, portfolio pages and more. The theme is tricky and needs concentration, knowledge and skills in terms of setup – but it offers brilliant OnePage as well as FlipPage possibilities and, while not as dynamic as the XO or XOR (where our focus is on the dynamic content of the blog), it also has an integrated blog and featured posts can be pulled in by a multitude of different widgets. We were told that “… anything is possible with the XOO” ! I’ve started my own journey on XOO HERE… it’s only the beginning, the learning curve – watch this space for more! To all the Phenomenal Women out there! Happy Mother’s Day from ‘Web Design South Africa’ to all the phenomenal women out there! I just couldn’t resist passing this on: Dr. Maya Angelou – just one of many… and all of them just awesome! Phenomenal women keep their inner mystery…. Happy Women just be yourself – BE!